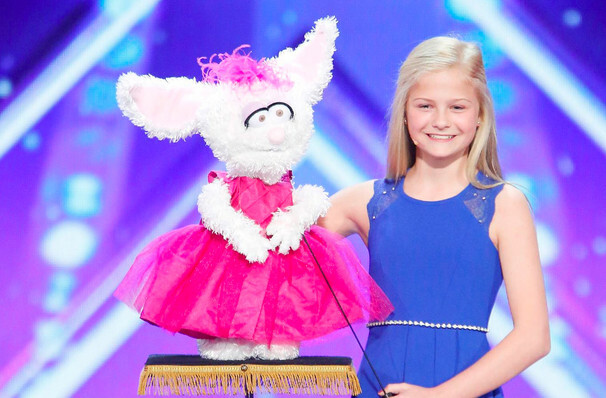 This 13 year-old ventriloquist has a stunning career ahead of her! 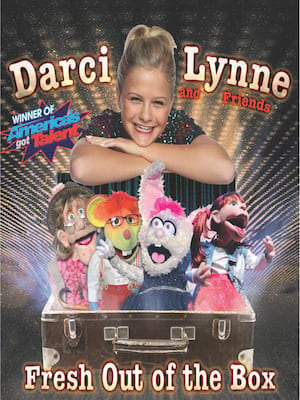 After her first official show selling out in six minutes, the dynamic young star is heading out on the Darci and Friends 2018 Tour. She'll of course be bringing along a host of colorful puppet characters including Petunia the diva-in-training rabbit, Oscar the Motown mouse, Edna Doorknocker the sassy old lady and Nigel the erudite British bird, amongst others! To top it off Darci has a knockout singing voice, so there'll be gags, musical numbers and a whole lot of on-stage hijinks. Sound good to you? Share this page on social media and let your friends know about Darci Lynne at Majestic Theatre. Please note: The term Majestic Theatre and/or Darci Lynne as well as all associated graphics, logos, and/or other trademarks, tradenames or copyrights are the property of the Majestic Theatre and/or Darci Lynne and are used herein for factual descriptive purposes only. We are in no way associated with or authorized by the Majestic Theatre and/or Darci Lynne and neither that entity nor any of its affiliates have licensed or endorsed us to sell tickets, goods and or services in conjunction with their events.